Mustafa AY – TDO – 26.10.2018 On Tuesday, US President Donald Trump announced that over 7000 immigrants from Middle American countries like Honduras, El Salvador, Guatemala and Nicaragua, who are struggling for passing Mexico border currently, want to arrive at USA as the final destination. President Trump assured his proponents that his cabinet will necessarily intensify the crackdowns in their border with Mexico for the purpose of preventing possible influx of immigrants into USA. Following Trump’s words, the eyes turn into US Secretary of Defence Jim Mattis. 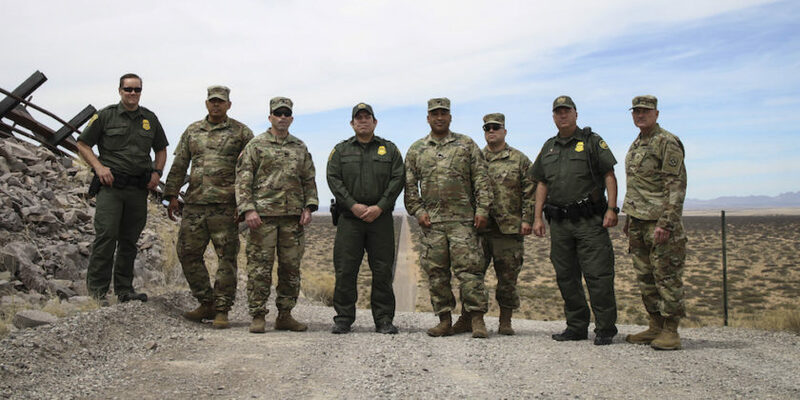 USA has already deployed National Guards to the Mexico border. However, the current figure of immigrants on their way to USA as over 7000 brings automatically leads the idea of dispatching extra troops to the border to come up. Actually, it may not remain as an idea because Secretary Mattis is expected to sign an official order to dispatch some 800 hundred troops to Mexico border so as to bolster National Guards. But, for now, there is no such move taken into effect yet. Before the midterm elections on 6th of November, which will determine the control of Congress, President Trump’s remarks making his supporters much concerned about the immigrants is interpreted as an election campaign by political experts. Because before presidential election in 2016, he managed to attract many of US constituents’ attention by conducting anti-immigration campaign. In the aftermath of his election triumph, he fulfilled his election promises by fortifying Mexico border with walls and issuing a presidential decree to deport many Middle eastern and Middle-South American immigrants. So, Trump has proven himself the man of word as he’s been following a nationalist foreign policy “First America” different from his predecessor.